Happy Halloween! It’s come to our attention that our arch nemesis, Eventbrite has raised their ticketing fee pricing. So we have taken it upon ourselves to offer Event Managers an escape from high fees and vendor lock-in that has been experienced with Closed Source Event Ticketing Platforms. To combat the evil scourge of high ticketing fees that is taking over the world of Event Organizers everywhere, we encourage Event Managers to adopt Open Source Event Ticketing. We are dying to know, are Eventbrite fees putting a dent in your pocketbook? Is your non-profit organization suffering through the latest round of Eventbrite ticketing fee increases? Have your ticket sales have been shut down for violating Eventbrite’s TOS? If you have answered yes to any of the above, then we welcome you to our open source, event ticketing platform, Event Espresso, with open arms. At Event Espresso, we believe in Open Source Software and the rights it provides users. So, it saddens us to see closed-source platforms, such as Eventbrite, increasing their fees, even for their non-profit customers. Earlier this year, we reported on a quilting events and workshops company that is losing $21,000 in ticketing fees annually, by using Eventbrite. That means, if fees are increasing, the quilting company will stand to lose well over $40,000 in ticketing fees, next year. Not only are for-profit organizations suffering an increase in ticketing fees, but many non-profits are also seeing a substantial rise in ticketing fees, as well. 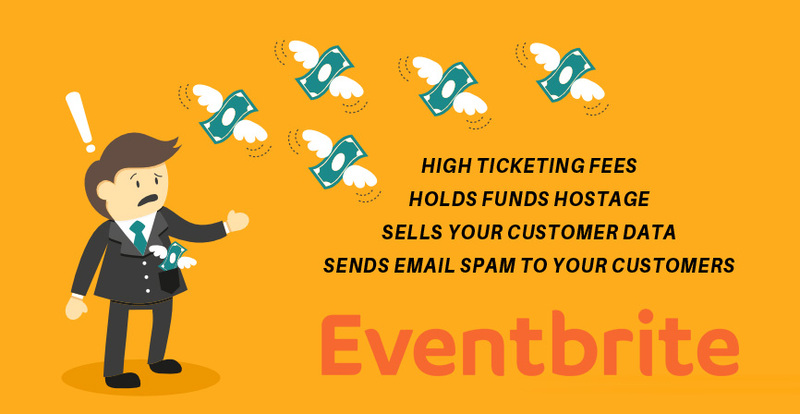 We’ve heard from many non-profit organizations that are seeing their ticketing fees double on the Eventbrite platform. Before this latest increase in ticketing fees, many organizations on the platform were paying over $300 per month in ticketing fees, while using the Eventbrite. As of this month, those ticketing fees have more than doubled! For the past 5.5 years we have used Eventbrite to support our year-round programs from class registrations to ticket sales to fundraising. The platform hasn’t met all of our needs, specifically integrating with our website. And Eventbrite recently announced a significant increase in their fees – an increase that, as a nonprofit, we simply can’t absorb or pass on to our theater families. We are desperate to find a better solution! We are very impressed with your application particularly because it integrates with our WordPress site, allows us to use our InTuit, Quickbooks for payment processing and allows us to add only the features we need. Through Eventbrite we were charged .99 +1% for every transaction PLUS 3% credit card processing. We were notified today that we would be charged $1.99 + 2.5% plus 3%. NOT cool! I LOVE that your platform appears to be a reasonable annual fee. I know I will pay the 3% for credit card processing through Quickbooks, but I would have to pay that no matter what. And I especially LOVE that I can use our credit card processor. We’ve been trying to eliminate multiple processors. 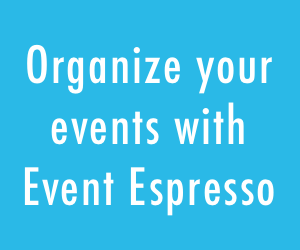 Event Espresso gives users the option to register for multiple events in one transaction. Eventbrite was never able to offer this feature. 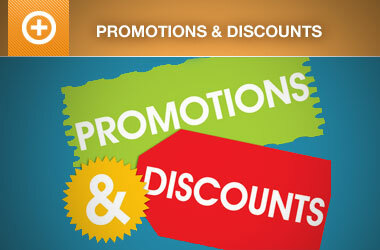 We offer many programs and have lots of clients who like to register for multiple programs. From our very first communication you all have been superb! You saved my little nonprofit from the Big Bad EventBrite price increase and your tools are giving me more freedom to represent my events the way I want too. I’m excited to share my experience with other NPs looking for a better solution! THANK YOU! I just love hearing stories like this, as it reminds me of why we continue to build, maintain, and support Event Espresso, as well as offer non-profit discounts to not-for-profit organizations worldwide. Our open source ticketing platform, Event Espresso 4, was built to stand the test of time. Just like its predecessors, Linux and WordPress, Event Espresso is open source. The software can’t be shut down, deleted, or removed easily, if at all, as copies of the software exist throughout the World Wide Web, via our website, the Event Espresso Community Chat, and free software repositories, such as Github and WordPress.org. The freedom to study how the software works, and change it to make it do what you wish. Part of those licensing requirements includes licensing derivative works or things that link core Event Espresso functions (like themes, add-ons, etc.) under the GPL as well, thereby passing on the freedom of use of these works. We often get so caught up with the practical functionality of products and services that we neglect to consider their history. Open source principles emphasize the importance of accessing and modifying the source code that runs behind the scenes, which encourages a deeper level of understanding and awareness. Considering the origin of products and services helps us realize any assumptions we may have had while designing and creating them, the resources and power dynamics that made their creation possible, and what parts of their legacy are carried on. Just as examining foundations encourages both introspection and innovation, investigating source code and the complexity around it is a great path to innovation and entrepreneurship. It allows us to re-imagine the status quo and see the possibility of doing things differently. Choice has always been a privilege of those who can afford to pay for it. Open source principles challenge that inequality by opening up the source code to all users. Applying this principle to governmental decisions, financial structures, and so on offers every member of a society the option, the right, and sometimes the responsibility to take action. Many people do not realize that the ability to choose, distinct from the choice itself, is a privilege. Appreciating this distinction is important to understand those who cannot afford the cost of certain choices. Open source does not demand a choice, but it offers people the option to choose—to understand the source code—and to investigate potential abuse as well as future opportunities. Understanding existing systems and structures is the first step to challenging standards and exploring innovations. Participation and community are two fundamental pillars of the open source world. The collective intelligence and diversity of a community boost innovation and make the process more rewarding. Initiatives such as WordPress and GitHub are living examples of how the open source community can lead to powerful changes. We Welcome Eventbrite Customers to Open Arms! Join the many thousands of Event Espresso users that have already made the switch. Our team is on standby to take your questions and help you migrate your event ticketing sales to Event Espresso and WordPress. If you are concerned with the increase in fees with using the Eventbrite platform, then please talk to us. We’re here to help. If you are wary of purchasing hosting and installing software, don’t let that stop you from enjoying zero fee ticketing. Take a look at our sister platform, Event Smart, which is a cloud-based (Software as a Service) platform, that offers many of the same great features as Event Espresso and WordPress but without the hosting and software installation headaches some customers may see when migrating to a self-hosted platform, especially where low-cost hosting becomes an issue. Are you a WordPress Developer that’s interested in developing an integration? If you are interested in building an integration, please feel free to create issue tickets and pull requests via the Event Espresso project on Github. Also, be sure to check out Mike Nelson’s post, “5 Tips for Contributing to Open Source Software Like Event Espresso“. Have a question? We have answers. 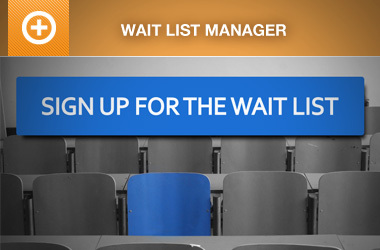 Our team is dedicated to providing you with the best event ticketing platform for WordPress. In order to make that happen, we answer questions and guide our users through the process taking their events and registration data into their own hands. Anytime you have a question, just ask.